The Gunpowder River is truly a gift of shared waters. 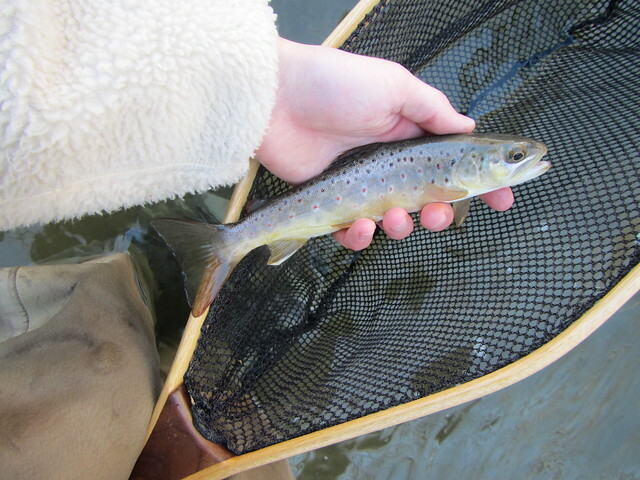 As a 1977 Baltimore Sun article penned by Michael Wentzel and Michael Shultz once related; “The Gunpowder is the River you Drink.” So with that context in mind it’s important to relate that Baltimore County has 2,100 miles of streams a majority of which hold native brook trout and wild brown trout. 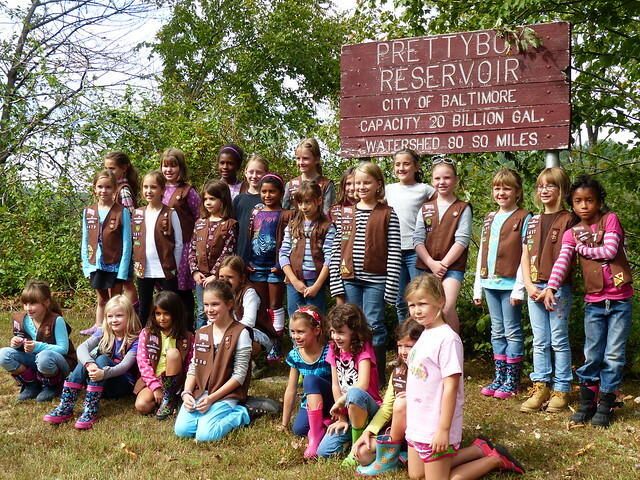 Notably, over 1,000 miles of tributaries drain into the Reservoirs that providing drinking water for 1.8 million Baltimore-metro area residents. 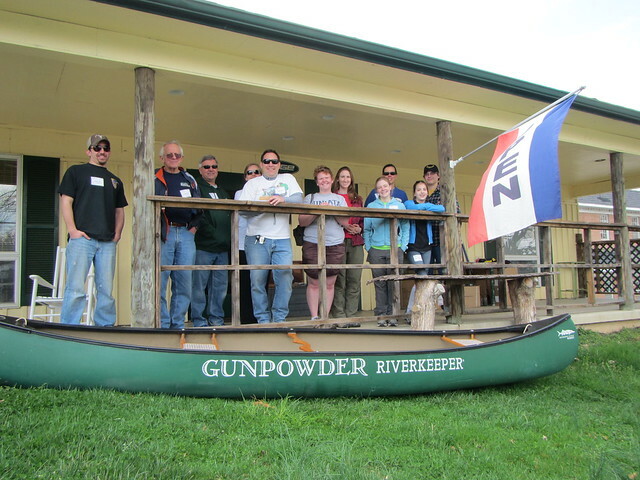 In 2013, Gunpowder RIVERKEEPER saw the end of four commercial tubing shuttles along the upper Gunpowder River. By their own estimations the two vendors had claimed that they were renting up to 400 tubes a day each. The shuttles routinely dropped off patrons every 20 minutes in a 75 to 100 foot wide, 2.2 mile stretch of river between the catch and release section at the designated Wildlands Areas of Gunpowder State Park and the two fish a day section of stream to Monkton Station along the NCR (now Torrey Brown) trail. In the end, the county zoning ordinances failed to support the livery services that had put too much pressure on this vital resource to sustain shared uses like fishing, boating and traditional tubing by families. As the River and its uses returned back to a more balanced state this spring, this shared waters perspective became even more revealing when Gunpowder RIVERKEEPER® began submitting environmental comments and intervening in the (Federal Energy Regulatory Commission (FERC) application for the Columbia Gas Transmission (CGT) Line-MB interstate gas pipeline project. The CGT Line-MB is a 26” diameter, 21.1 mile long Interstate Natural Gas Transmission line from Owings Mills to Rutledge impacting 305.4 acres of land and 70 waterways with a temporary 75 to 100 foot wide construction right-of-way (ROW) resulting in a permanent 50 foot ROW across the Gunpowder Watershed in Baltimore and Harford counties, Maryland. GRK identified that 39 of 70 waterways impacted by the natural gas transmission line project are designated as drinking water supply waters (USE III-P and IV-P). The project also crosses the Gunpowder Falls River that provides drinking water for 1.8 million Baltimore-Metro area residents. 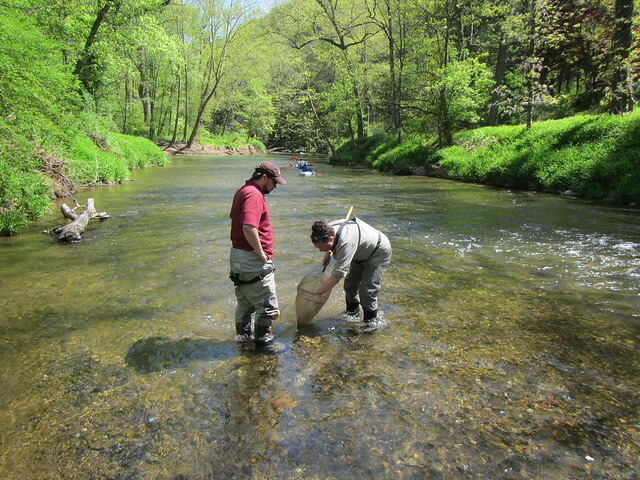 The pipeline does not define our work but has shown just how connected the wild trout and drinking water are in this fragile upper watershed. If the land agents for Columbia Gas Transmission do not strike deals with the affected landowners along the proposed route for the new right of way the properties that the line would go through may be taken in the courts through eminent domain. GRK has asked for more public participation in the regulatory process, thorough environmental review including an Environmental Impact statement and full mitigation of environmental harms to protect the sensitive waterways crossed by the project. Please visit our Chesapeake Commons interactive map describing waterway impacts (including drinking water) of the pipeline project that were not disclosed by the MDE and the CORPS in the joint public notice. GRK led 18 Conservation Organizations in urging the Army Corps of Engineers (CORPS) and Maryland Department of the Environment (MDE) to disclose waterway impacts of proposed Interstate Natural Gas Pipeline Project on Baltimore City Metro Area Drinking Water supply. 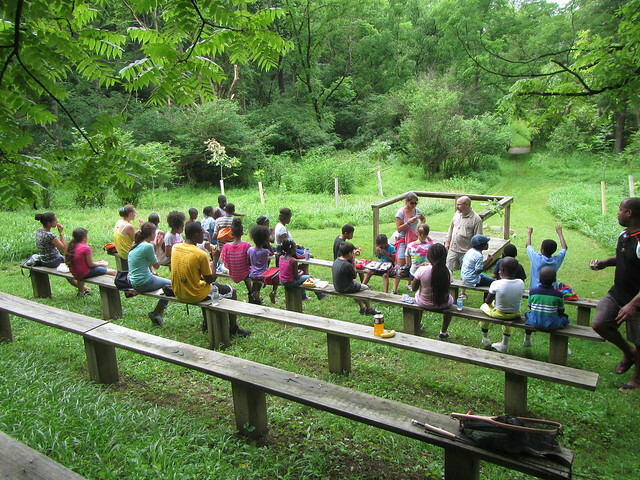 Led the St. Francis Community Center Reservoir Hill Power Project group on a streamwalk and service project along the River to discuss the sources of City drinking water and the importance of wild trout; Credited as contributing author in a Poster at the International Didymo Conference in VT; Lead a panel discussion on Invasive Algae Didymo at the Waterkeeper ALLIANCE Annual Conference at Callaway Gardens, GA.; Led service projects with over 70 local scouts and brownies that included trash cleanups along the river as part of their merit badge requirements; Led a Juniata College Alumini service project; Took part in the MDDNR Stream Waders program and sampled the River and its tributaries with 8 volunteers that collected benthic macro-inverteb=rates that will be used to inform state water quality standards; Served as a public interest member of the State Water Quality Advisory Committee; Created awareness that current management protocols of Baltimore City DPW that manage Pretty Boy Reservoir at full pool impacts the River with widespread flooding during heavy rainfall events, is counter to the Baltimore City Watershed Agreement and the Loch Raven Total Maximum Daily Load (Pollution diet) and can be prevented with proactive management that allows the reservoir to fill rather than spill during Hurricane Season; Maintained 12 MDDNR Wader Wash Stations along the Gunpowder River to contain the spread of invasive algae Didymo; Worked with Maryland Park Service staff on trail closures and clean-ups; Informed Maryland Natural Resources Police on poaching complaints; Provided regulatory comments and gave testimony before Baltimore County and the MDE on the County Municipal Stormwater (MS4) permit; and added environmental comments to UMD Law letter on MDE Construction Stormwater regulations. GRK supported important regulatory comment letters related to pesticides; manure and fertilizer application on farm fields; MS4 (Stormwater) permits; a Department of Energy application for the Cove Point Terminal to export Liquified Natural Gas (LNG); a public interest letter regarding disposal of coal ash, and a letter to the editor of Baltimore Sun regarding the environmental impacts of the export of “Fracked” natural gas. –GRK on the legally deficient Maryland Department of the Environment (MDE) and Baltimore District U.S. Army Corps of Engineers (CORPS) Joint Public Notice, PN#13-21 for the 404 (Wetland and Waterways) / 401 (State Water Quality Certification) permit for the Columbia Gas Transmission Line-MB Extension Pipeline Project. 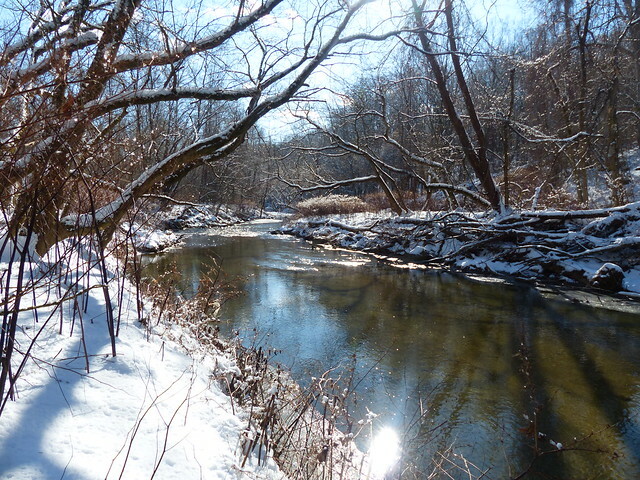 The protection of the Gunpowder River is a gift worthy of your support. This entry was posted in news on December 31, 2013 by Theaux Le Gardeur. The calendar is marching on. 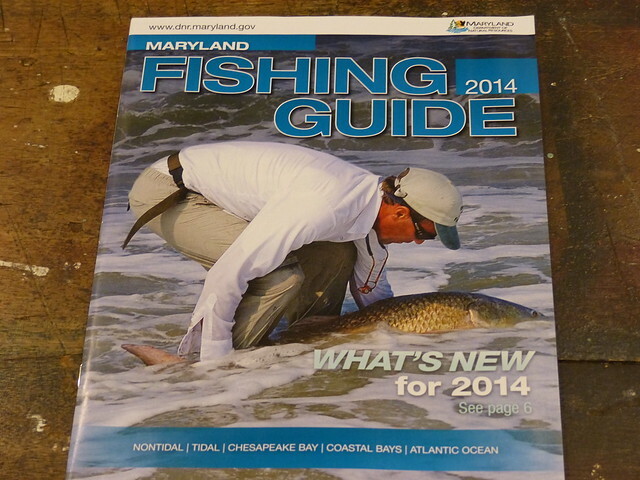 Now that the in-laws have left your humble abode it’s time to pick up a 2014 MD Fishing License. The shop will be closed on the first so be sure to stop in on Monday (from 10 till 5) or Tuesday (from 10 till 2) if you’re planning on fishing on the first! Thanks for your support in 2013 and we wish everyone a happy, healthy and prosperous New Year! Licenses after hours may be obtained online through the Compass Portal. If you picked up a license last year enter your customer id# into the system. If you don’t have it handy search for your record using your last name, date of birth and /or drivers license number. If you have not picked up a Maryland fishing license in the past, simply enroll as a new customer. Note: You must have an email address to use the system and a license will be emailed to your address upon completion of the transaction. This entry was posted in news on December 29, 2013 by Theaux Le Gardeur. 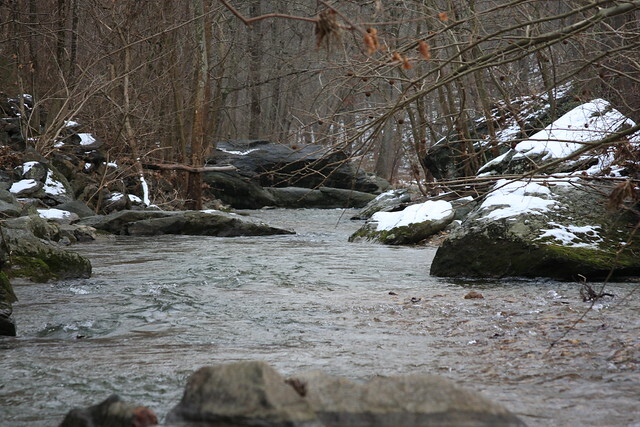 The Gunpowder River is flowing at 137 Cfs, is 42.5 F and clear. Most of the trails are frozen and the fresh snow has already left the grassy areas. It’s time to put in studs and bring along a wading staff. Stoneflies in the #14-16 range have been coming off on warmer days. Starting early-try zebra midges in the riffles. Black fly larvae in the #20-22 range are a good bet-especially behind Blue Winged Olives sized #16-18. Traditional streamers in the jams will trick a few fish along the edges. Try a Grey Ghost or small marabou muddler on 6x. This entry was posted in fishing report on December 26, 2013 by Theaux Le Gardeur. The shop will be open Christmas Eve till 2:00, will be closed Christmas Day and will reopen on the 26th from 10 till 5. This entry was posted in news on December 24, 2013 by Theaux Le Gardeur. Thanks to Josh Reider for the photos and stream report. Fishing in the winter can be a very productive time for fishing. Nymphing small pheasant tails, stonefly imitations, zebra midges, and black fly larva is the best way to target cold finicky fish. 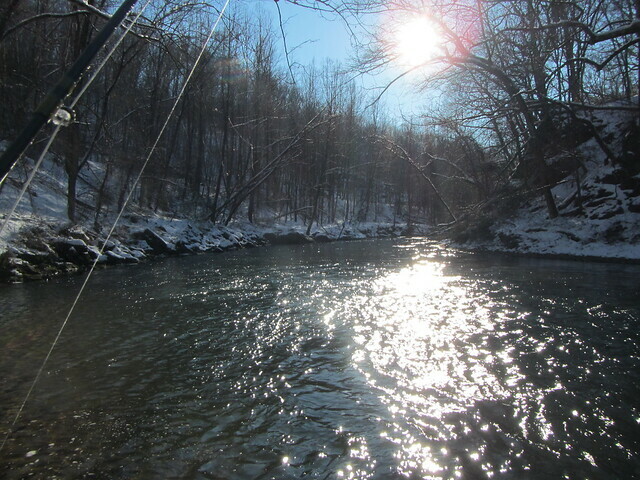 I fished the coldest day of the year yesterday, and was able to pick up 3 fish in the lower river using these tactics. 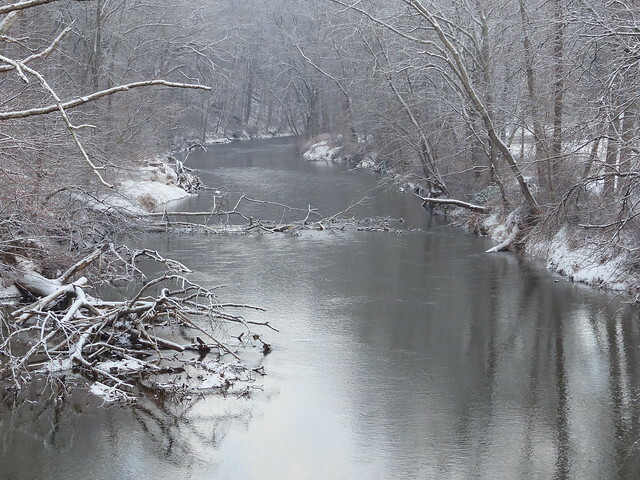 Many of those willing to brave the cold will often find a quiet serene river filled with fish that have not been fished over in a couple days; as compared to fish that will be fished over multiple times a day during the spring and summer. Fighting the cold with good gloves, warm socks, and insulation is a must if you want to enjoy your time on the river during the coldest days. This entry was posted in fishing report on December 13, 2013 by Theaux Le Gardeur. 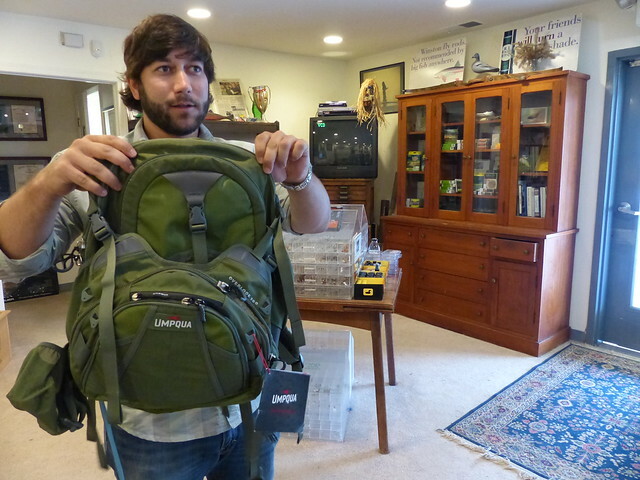 Thanks to Justin Nolan for stopping in and giving us a first look at the Umpqua line of packs, bags and vests. He is pictured above with the Umpqua Surveyor 1100 backpack and Overlook 500 chest pack. We just received a shipment of the full line in the shop so stop on up and give them a look. Thanks to Mike Colegrove for the gear review of the Ledges 500 waist pack. For the past few months I have been fishing with a rep sample of the new Ledges 500 Waist Pack from Umpqua. 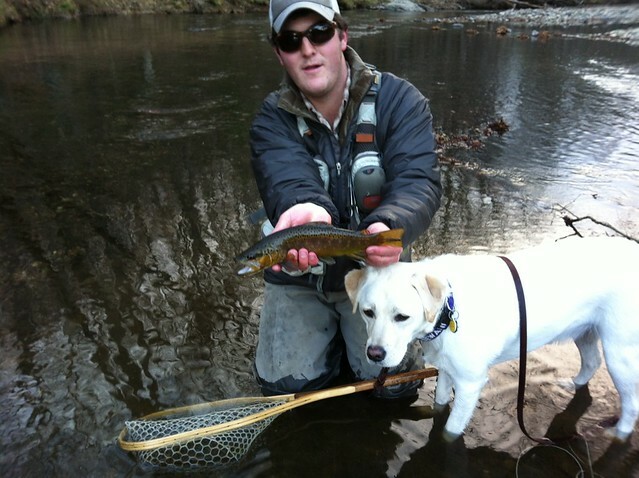 Early on in my fly fishing career I realized that vests were not for me and I have been using lumbar packs ever since. I am always on the search for a better mouse trap and have been through a number of waist packs over the years. Some were better than others, but none got enough things right for me to definitely say “this is the one.” , that is until now. The Umpqua Ledges pack has taken all of the positive attributes of the existing packs on the market along with adding a few innovate features of their own to create the best waist pack I have ever used. This entry was posted in gear on December 7, 2013 by Theaux Le Gardeur.